Last Thursday evening, the first of Walker Kitchen Lab’s two public projects took place on Walker Open Field. Taking its namesake after the French culinary term amuse bouche that literally means “mouth amuser,” this activity played with this concept that allows chefs to demonstrate their approach to food through a bite-sized “meal” that is traditionally served before the first course. The Kitchen Lab “Amuse-bouche” invited Walker Open Field and Target Free Thursday Night attendees to create their own one-bite meal representing a little bit of Minnesota with an artfully crafted game of flavors. 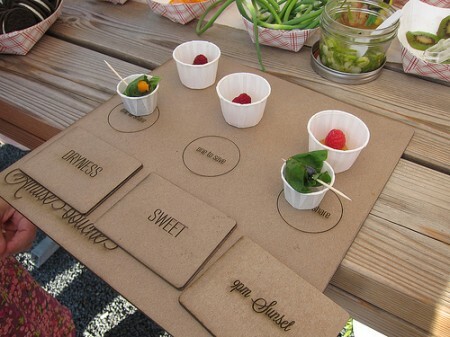 Carl and Betsy DiSalvo developed this game to engage the public in thinking about representations of ideas in different sensory food experiences, and to reflect on their community. It also serves as a prototype and model for the Kitchen Lab Collective and their series of experience-based Kitchen Labs for use on Walker Open Field during this residency. Dryness and sweet taste profiles were used to help recreate the feeling of the 9 PM Minnesota summer sunset. 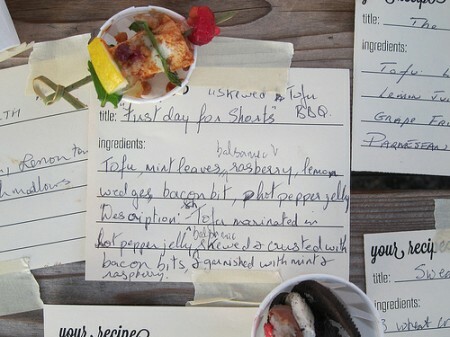 Players then selected ingredients from their two taste card profiles and created a new one-bite meal that best represented their phrase. After finding the perfect recipe for their phrase, we asked them to make three one-bite meals: two to share and one to add to the Artist Collection along with the recipe. 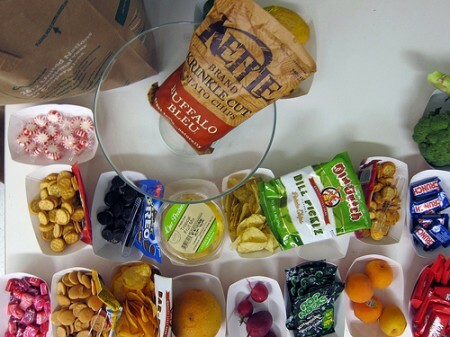 A wide variety of food and taste were provided and visitors brought their own to share. One family of four spent over 30 minutes making their one-bite meals. Their final product, recreating the feeling of the first day for shorts after the long Minnesota winter, was a skewer of marinated tofu, mint, raspberry, and lemon. A mother with her teenage daughter and friends came from Ham Lake (about a one hour drive!) just to play “Amuse-bouche” after seeing the event in an e-mail blast. She thought it sounded “intriguing and fun” and even though the game was crowded when they first arrived, they were happy to wander around the Walker Art Center and Minneapolis Sculpture Garden for an hour or so before returning to join in the activity. After creating their own, they found themselves reading all the recipes others had created in the Artist Collection — and of course sampling them too — until we closed things down around 9 pm! 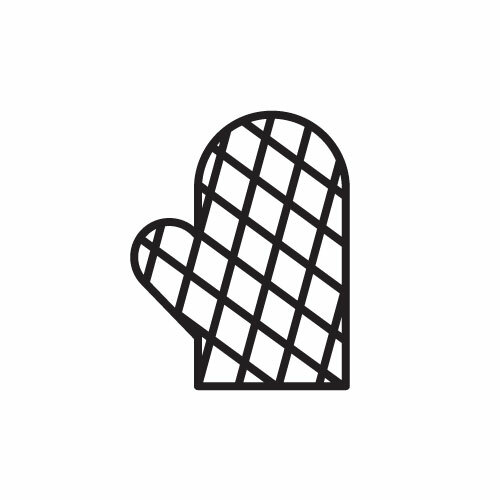 This “Amuse-bouche” Kitchen Lab is just one of many prototypes that the members of the Kitchen Lab Collective are in the midst of creating during their two-week residency at the Walker. At this point there are at least four more Kitchen Labs — with working titles of “Oven,” “Water,” “Tea,” and “Smell”– that will be ready to prototype by this Thursday night’s public project, “Kitchen Lab: an Unveiling.” Come on down to Walker Open Field from 6-9 pm to test out and play with the collective’s creations.